Yeah, neighborhood, right. If you consider a neighborhood to include tens of thousands of people, sure. If you’ve never been to the Katy, or even the Houston area for that matter, that’s probably how you think of Katy too. Well its true- Katy High School does have a great football team and we are located outside of Houston but Katy is a much larger and inclusive city than people think. Katy is a very cool town with amazing people, food, culture, education, extra-curricular activities, shopping, and sense of community. And that’s just a few of the many reasons that make everyone fall in love with Katy, Texas. I grew up in Katy, TX and love my city. It was tough to narrow it down but here are the seven reasons I have fallen in love with Katy, Texas. First of all, Katy is much larger than people think. We have 40 elementary schools, 15 Junior High Schools, and 8 5A high schools, just to give you an idea of the size of our population. And it is continuing to grow; more and more people are moving to Katy every day. I don’t know what it is but Katy attracts the nicest people. People all over Katy are willing to spark up a conversation with someone in the checkout line, at the park, at school, or in their neighborhood. I always tell people I’m 5 people away from knowing everyone in Katy. No I don’t literally know tens of thousands of people, but Katyites give the city a small town feel. The people all have a familiar welcoming persona and no matter what you need someone is willing to lend a hand. My coworker, Maria, was driving to work this morning and got a flat tire. She pulled over to the side of the road and before she could even get out of the car, someone was pulling over behind her to lend a hand. The sweet man changed her tire while keeping conversation with her and in no time the tire was on and a new friend was made. You may be thinking this is a random act of kindness and she got really lucky to meet such a nice guy. The truth is that wasn’t luck at all. Katy is full of people who look out for one another and are willing to lend a hand when it is needed. When it comes to food, Katy has it all. The chain restaurants, the mom and pops, the specialty dining. We really have everything! Katy has any kind of food you can imagine without ever having to leave the city! You want Mexican food? We have at least 20 options to choose from. My favorite is Las Mananitas- an independently owned restaurant that’s been a town favorite for years http://www.lasmananitasmexicanrestaurant.com/contact-us-katy Or if you prefer a larger Mexican chain I would recommend Jimmy Changas http://freshmexfun.com/ Need a barbeque fix? May I recommend Nonmachers https://www.facebook.com/Nonmachers-Bar-B-Que-127261294033636/ a hole-in-the-wall place with, hands down, the best barbeque imaginable. Prefer the chain barbeque? We have those too https://rudysbbq.com/ is my other go-to. Desserts? Proud Pie makes amazing pies and has coffee from around the world https://www.proudpie.com/ This is only a starter list of my favorites. I could go one for hours when it comes to the food options in Katy. No matter what you’re craving or from what culture, Katy is guaranteed to have it! When I was in college I became really good friends with a girl who moved from South Africa to play Tennis at the university. Between the 21 hour flights and the cost of a plane ticket, she was only able to go home once a year. I could tell she was homesick so I invited her to go home to Katy, Texas with me for the weekend. We’d do all the normal things college kids do when they go home from college- bring mom tons of laundry because we were out of quarters, run around with the dogs we missed so much, oh and have a home cooked meal instead of dorm food for once. Home cooked meal? Yes- Katy is one of the few cities to have a world renowned South African restaurant! We ordered all of her favorites and she was smiling from ear to ear. “It tastes like home,” she said. Katy is a gold mine for food; it really does have all the food you could ever crave! And that brings me to my third reason to love Katy- the culture. We have people from all over the world in all likes and sizes. My first friend on the bus ride to kindergarten was from the Philippines. The first school birthday party I ever attended was a boy from Iraq. In my homeroom class, I was one of two native Texans in the 20 student classroom. The strong oil and gas economy of our area attracts international companies and people to our area from all over the globe. We are an extremely diverse town with people from all over both the United States and the world. I feel so fortunate to have been brought up and exposed to so many cultures in the diverse city of Katy, Texas. Just last night I was sitting at a restaurant and to the left of me I could hear Russian, to the right, Spanish, in front Dutch, and behind me, French. This wonderful melting pot of cultures makes Katy an enjoyable place to grow up and live. We all heard it growing up “Katy ISD is one of the best school districts in the country” and let me tell you, I am living fact that this statement is the truth. I grew up with entrepreneurial parents so we could live anywhere we wanted to. My mom chose Katy solely because of the school district. I went through all of my childhood education in a Katy ISD school, Pattison Elementary, McMeans Junior High, and Taylor High School. All of school from learning how to read to learning calculus was extremely competitive in terms of academics. I was constantly being pushed to perform at my highest. Since Katy ISD was the only school district I had experienced, I thought this was how all schools were. Everyone was learning the same materials and taking the same tests, right? Not at all. I went to college and immediately realized just how far ahead of the general population I was truly at. Freshman year of college, students have to take all of their core classes before truly going into their major courses. Freshman have to take English, History, Biology, Math, and a physical fitness class just like high school. I quickly realized that the information being presented to me was the same or even a dulled down version of what I had been taught in high school. When other kids were vigorously taking notes in class, staying after for office hours, spending thousands on textbooks, I was dumbfounded. Was I really that far ahead from Katy ISD that college was going to be a breeze? Yes! I was so far ahead of the general population that the four years flew by with ease and I graduated top ten percent of my class. It was almost unfair! My high school friends found college the same way, all thanks to our Katy ISD education. Katy has every extracurricular you could want. Does your child want to be a ballerina? There’s a top ballet school for that. How about horseback riding? Fencing? Martial Arts? You name it, we have it. Same goes for adults to! Want to pick up needle point? We have that. Want to learn how to speak a new language or how to start a business? We have classes for that too. There are so many activities offered throughout the community, you name it we have it. There are so many people in Katy, from so many backgrounds, that everything is in reach. In addition to football Katy ISD offers tennis, soccer, baseball, softball, basketball, golf, swimming, diving, band, orchestra, dance, and cheerleading offered at the high school. My high school even had ice hockey- yep a Texas school offered ice-hockey! Katy ISD goes above and beyond to provide students with extra-curricular sports and activities. Katy has 2 outdoor malls and two indoor malls all within a 20 minutes’ drive! Our go to is Katy Mills Mall because it is located in the heart of Katy. Katy Mills Mall has 1.3 million square feet of retail space and over 200 specialty stores. The best part- it’s an outlet mall so the prices are amazing! You can hit big retailers like J Crew, Banana Republic, Gap, Polo, Michael Kors, and so many more for up to 80 percent off retail prices. In addition to Katy Mills we have a beautiful outdoor shopping center in the Cinco Ranch neighborhood called La Centerra. La Centerra is more than just shopping and has turned into a family destination. With shops and restaurants downstairs and offices upstairs, LaCenterra has something for everyone. They also have a large outdoor green space located in the center of all the shops where at any given time you’ll see children running around and playing. They also have ponds so you can enjoy a meal view a view or go for a stroll on a sunny afternoon. If you’re more into department store shopping, Memorial City Mall is a short drive down I-10. They have big department stores such as Macy’s and Dillards for makeup, clothing, shoes, jewelry, and hand bags all in one place. In addition to the department stores, Memorial City Mall has all of the food and shopping you can imagine plus an indoor ice skating rink. Finally we have the Houston Premium Outlet Mall just a short drive up Highway 99. The outlet mall is an outdoor mall that hosts 145 designer and name brand outlet stores. My personal favorite is Kate Spade at the premium outlets. I found a beautiful light blue leather Kate Spade bag at the Premium Outlets for 90 percent off one time and since then I’ve been hooked! Maybe it’s because we live our lives a little sweeter, but what I love most about Katy is the atmosphere. Whether you’re at a school play, a sporting event, or just eating out, you’ll feel the Katy charm. It’s that “I know everyone here feeling.” It’s a familiar welcoming way of life that can’t go unnoticed. If you’re planning on moving to Katy or just coming for a visit, Katy, Texas is truly a spectacular place. Still have questions about moving to Katy? Email me at [email protected] Please don’t hesitate to contact me with any questions you have about Katy! 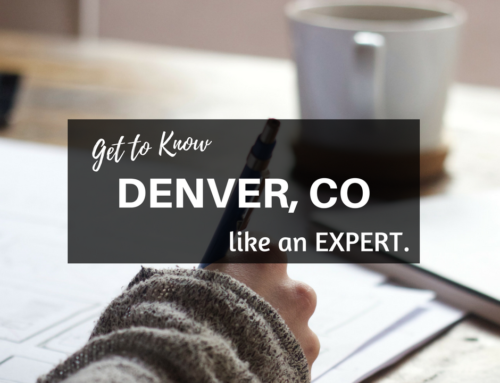 Looking for a Katy expert? Kelly’s real estate career began in 1989. As a former PRESIDENT OF THE KATY REALTOR ASSOCIATION, Kelly has a long-standing reputation for obtaining record prices for her clients. Selling your home for top dollar requires maximum marketing exposure. Contact Kelly today to find out the benefits of working with a seasoned Realtor with a proven marketing plan–ensure your property stands out against the competition! December 27th, 2017 | Enter your password to view comments.